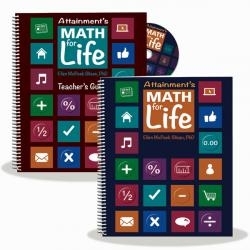 Math for Life links life skill themes to six fundamental concepts, adding relevance and appeal to math instruction for middle and high school students. Includes a Student Book and Teacher’s Guide. 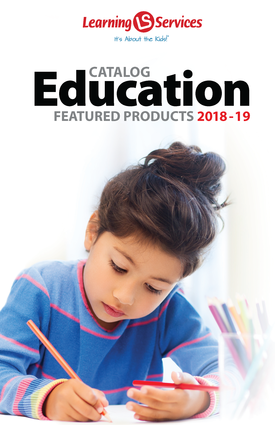 The Introductory Kit includes one Student Book, one Teacher’s Guide with PDF of Student Book Pages on Win/Mac CD, and a Classroom License for printouts. The Classroom Kit includes eight Student Books and all the other items in the Introductory Kit. Student Book available separately. The Student Book incorporates clear illustrations, graphic organizers, and high interest stories to help students solve math problems. It’s arranged into six units: Add and Subtract, Multiply and Divide, Measurement, Fractions, Decimals, and Percent. Each unit follows a consistent format: Concept Review, Story-based Lesson, and Practice Exercises. The Teacher’s Guide features completed pages from the Student Book with discussion points and teaching tips.